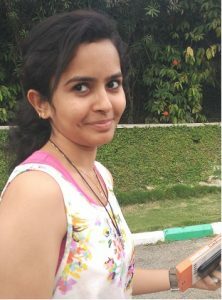 Janaki Vinesh Joshi is a student of IIIT, Bangalore pursuing her master’s in Information Technology and is a member of the Web Science Laboratory. She passed her bachelor’s with distinction from Amrita Vishwa Vidyapeetham, Coimbatore. She is currently working with the lab on a research project in the domain of Semantic Web. Her areas of interest also include Data analytics, Machine Learning and Cloud Computing. For more details head over to her Linkedin profile.